Outside of the histrionics of the Fire Lord and his cronies, Avatar has been mostly mum about the nature of evil. As in the real world, evil itself is a rather slippery concept. Jet’s approach to freedom fighting, for instance, included an act that most people would call evil—namely, the attempted drowning of a village full of civilians—although Jet himself justified it as a means to an end. The Earth Kingdom officer who threatened Katara’s life in order to bring out the Avatar State was also engaging in a form of evil, threatening the life of a child, although he would similarly argue that it was a means to an end. 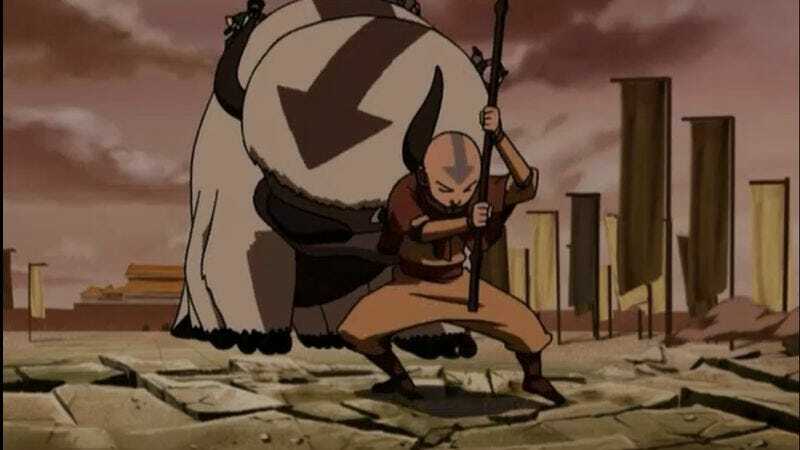 In fact, the most evil act of a non-Fire Nation character thus far was the kidnapping of Appa by the sandbender prince, which was not only the capture of a deeply sensitive animal, but an act of attempted murder of the Aang Gang, who easily could have perished in the desert without Appa. The evil at the heart of the Fire Nation is different, a form of mass psychosis that is similar to Nazism. As we shall learn, (mild spoiler here, but it won’t change your experience of season three) the Fire Nation began this war out of a misguided sense of altruism. Over time it has become an all-consuming passion for conquest, completely divorced from Sozin’s original desire to share the Fire Nation’s wealth and prosperity with the rest of the world. It has become an evil mission, mainly because it is now about power and the blunt application of this power over the rest of the world. This leads us now to the fascinating character of Long Feng, the man with the most subtle approach to power in the show. His approach is utterly insidious, no less evil than the blunt approach of Ozai. Ba Sing Se might be too large and diverse to control with an iron fist (although the visual metaphor of the Dai Li’s rock gloves is particularly apt), so Long Feng controls it with whispered intimidation, thuggish magic ninjas, a quite progressive approach to conditioning, and a seat immediately to the right hand of a puppet ruler. In this way, he gets exactly what he wants while most of the city believes itself free and safe. Long Feng thinks that he can control Aang, too, and he is sadly correct about this for some time. 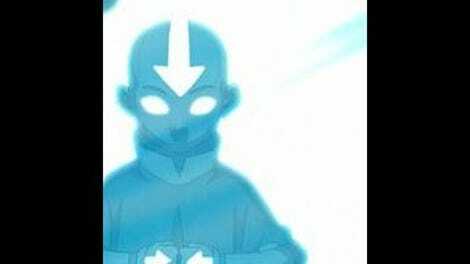 Although the Avatar is the most powerful human in the world, he is also a child only 12 years old, unfamiliar with the unique social strata of Ba Sing Se, and quite out of sorts with the loss of Appa. As with the chance mention of Ba Sing Se from the beetle-headed merchants in “Appa’s Lost Days”—which set into motion the events leading to the downfall of the Earth Kingdom—Long Feng’s undoing in these two episodes is the direct result of two small mistakes: a chance encounter that unravels his plan to expel the Aang Gang through misdirection and his own slip of the tongue when he identified Aang as the Avatar in front of the Earth King. “Lake Laogai,” which is, incidentally, the final Avatar episode directed by Lauren MacMullen, is so full of ideas, jokes, wisdom, and creative action sequences that I could write at least 5,000 words on it alone. Most episodes have an enormous amount of information to unpack, but this one is one of the densest, although it is so effortlessly entertaining that it zips by. In the interest of completing this review before 2012, I will labor to keep my enthusiasm more manageable. I am somewhat less enthusiastic about “The Earth King,” which was written by John O’Bryan, the writer responsible for both of my least-favorite episodes, “Avatar Day” and “The Great Divide,” but also “The King Of Omashu” and “The Library,” which I liked quite a bit. As in the former two, “The Earth King” features a lot of goofy physical comedy and some behavior that seems a little out-of-step for our characters. However, as in the latter two, there are some solid ideas in this episode that are essential to the story. MacMullen is the most visually apt Avatar director, and her episodes tend to bear her more visceral flourishes. Tim Hedrick, who wrote “Lake Laogai,” authors scripts that tend to be cerebral, but work well with MacMullen’s vision. Of his scripts—“The Deserter,” “The Swamp,” “The Desert,” “City Of Walls And Secrets,” and “Lake Laogai”—the only one she did not direct was “The Swamp.” O’Bryan’s scripts, on the other hand, tend to stand out as the most kid-friendly Avatar episodes, which is why they sometimes work for me and sometimes don’t. It is clear, though, that O’Bryan is best when working on an episode containing a major plot point that can bear his brand of wackiness without losing focus. I do not know if O’Bryan is working on The Legend Of Korra, but I hope that if he is, the Avatar staff has learned to use his talents to the best effect. “Lake Laogai” opens with Sokka’s crude drawings of Appa, which are immediately shown up by the professional flyers that Katara and Aang have commissioned. Aang flies over Ba Sing Se, dropping the flyers over the outer ring. Meanwhile, some rich guy (check out his fancy rings!) likes Iroh’s tea so much that he offers to bankroll Iroh’s own shop and throws in a new apartment in the fancy rich guy ring. His current boss offers Iroh the title of “Senior Executive Assistant Manager,” but meaningless titles don’t really appeal to Iroh. Zuko is characteristically dickish about the news. There is an amazing two-second shot when Zuko steps outside and has one of Aang’s flyers drop into his face. The camera goes slightly out of focus twice, which is an excellent way of showing just how thrown Zuko is by what he is seeing. Back at the House Of Unsupervised And Insanely Talented Teenagers, the original Joo Dee shows up to tell the Gang that flyering the town is strictly forbidden. They are surprised by her return, thinking that she was arrested by the Dai Li, but she tells them that she was only off on a short vacation to Lake Laogai. Hint: if this was a magical vacation paradise, it would probably not be the title of this episode. Anyway, Aang gets so aangry that his face turns red, and he tells her off and slams the door in her face. Toph is so excited about breaking rules that she immediately blows a large hole in the side of their house. The two Dai Li agents spying from the rooftop across the street are nonplussed. In the next scene, Long Feng is dressing down Joo Dee in his Green Den Of Green Evil. She is quite upset until Long Feng says that the Earth King has invited her to Lake Laogai. Her eyes dilate completely and she says in a neutral “it was better than Cats” tone that she is honored to accept. As she takes her leave, Long Feng and his Dai Li guards discuss killing the Avatar but decide to try to handle the situation differently. While Iroh packs and thinks about his tea shop, Zuko shows him the flyer. Iroh is immediately concerned, and he drops some serious wisdom on Zuko as mildly as possible. He talks about their new life and the good things they have going for them while Zuko says he wants more from life. “There is nothing wrong with a life of peace and prosperity,” says Iroh,” I suggest you think about what it is that you want from your life and why.” It is hard to say who Iroh was before he lost his son, but this is some heavy Taoism. Consider the story of Cook Ting from the Chuang Tzu, which appears halfway down this page. Iroh is drawing from this same well, which holds that pride in one’s work can be both an example of and a metaphor for how to live. Plus, in his next scene, Iroh gets royally pissed off and that would be worth an entire episode unto itself. After the Gang splits up to post more flyers, Jet approaches Katara with an offer to help. She initially rejects his offer with the icy onslaught of a waterbending woman scorned, but when the rest of the Gang arrive, Toph reveals another talent: she can tell by the rate of breath and heartbeat when someone is lying. She gives Jet a pass. He takes them to an empty stable where Toph finds a swath of Appa hair. An elderly janitor tells them that Appa has been shipped off to Whale Tail Island, several hard weeks of travel away. The Aang Gang makes plans to leave, but Smellerbee and Longshot come running up, asking Jet how he got away from the Dai Li. Jet’s answers (“Why would I be arrested? I have been living peacefully in the city.”) sound like the words of brainwashed man, so even when Toph determines that both Jet and Smellerbee are telling the truth, Sokka immediately figures out that Jet’s brain has been tampered with. I am not sure how Sokka is familiar with brainwashing, being, as he is, a teenager from the remotest town on the planet, but hey, I’m a sucker for this storyline. man, the Dai Li guys are ruthless. This guy just attempted to kill someone for bumping into him and insulting him. Elsewhere, the Gang is trying to figure out how to bring Jet’s memories back. Sokka’s plan to stick his trademark straw in his mouth does not work, so Smellerbee suggests that Jet remember what the Fire Nation did to his family. We learn that the Rough Rhinos are responsible for murdering his parents, but Jet is not ready to go there. Katara tries to heal his head with water, leading to an amazing vision. Jet sees Long Feng standing on a lake, then Jet is plunged into the water where he sees himself being brainwashed. Sokka immediately figures out that this lake must be the same one that Joo Dee went to. At the lake, Toph comes up with another skill when she immediately realizes that the lake has a subsurface tunnel near the shore. (I like her nonchalant whistle.) She blows a hatch into the tunnel, freeing Desmond. Wait, no. Sorry. They search the chambers below, passing an army of new Joo Dees along the way. As they open a door to a cell where Appa might be held, the shot cuts to Appa, chained, with light from an opening door falling onto him. The camera cuts back to the door, which is filled with The Blue Spirit. “Expecting someone else?,” he asks as he walks in. I am a little disturbed that there is no explanation for how Zuko got into the secret chamber under the lake, but I will wave away this concern because of the next Zuko scene. The room that the Gang enters is huge. Hanging from the ceiling are hooks and chains and even more creepily, the Dai Li. “Now that’s something different,” says Sokka. Long Feng closes the door and tells them that they are enemies of the state. Eh, that's what all the secret police guys say. The Dai Li attacks, but the Aang Gang and Jet’s fighter work exceptionally well together to defeat the secret police, despite the Dai Li’s bizarre running-on-the-wall tricks. Seeing that Long Feng is escaping, Aang and Jet chase him to a room full of open pipes. Long Feng tries to make a deal to get Aang to leave the city, but Aang points out that he is in no position to bargain. Long Feng tells Jet that the Earth King has invited him to Lake Laogai. Jet’s eyes dilate and he says, “I am honored to accept his invitation” in the same dead voice that Joo Dee used earlier. Jet attacks Aang. I’ve mentioned this in comments before, but for those who missed it, I have a theory that Iroh has been secretly preparing Zuko to be the next Fire Lord this whole time. It works like this: Iroh got to know Azula when he returned from The Siege of Ba Sing Se, and he made up his mind then. Iroh is, as we know, not just the rightful heir to the Fire Nation throne, but also a member of the secret Nation-spanning White Lotus Society and one of the best strategists in the world. When Zuko was banished, Iroh went along on the pretext of keeping an eye on his nephew, playing up the avuncular side of his personality. However, all along, Iroh has been filling his nephew’s head with wisdom in an attempt to undo the damage to Zuko’s psyche and make him more receptive to latent Taoism of the White Lotus Society. To be fair, we don’t know much about the society at this point except that it is secret and borderless. However, if you combine this with Iroh’s teachings, namely, to be satisfied with the things that give you your personality and to strive to improve injustice in the world, and throw in Iroh’s strategic ability to foresee possible outcomes, it seems that Iroh has big, big plans for his nephew. I do not think that this theory, which is, I admit, pure speculation, is at odds with his own happiness about the tea shop nor his plans to stay in Ba Sing Se. Especially in this scene, it is clear that Iroh’s anger at Zuko is because Zuko is still in thrall to Ozai and has yet to become his own man. Iroh’s plan needs Zuko to break that hold and find his own destiny: to replace Azula as Fire Lord heir apparent and fix the damage to the honor of the Fire Nation. Jet is still attacking Aang, but Aang breaks the conditioning by telling Jet that he is a freedom fighter. Jet turns on Long Feng, and Long Feng, well, kills him. At least, he deals a mortal wound and leaves the boy bleeding to death on the floor while he makes his escape. That’s how you do evil, folks. The rest of the Gang arrives while Jet is dying on the floor. Katara tries to heal him to no avail. Longshot speaks the only words we hear from him on the show: “There’s no time. Just go. We’ll take care of him. He’s our leader.” As the Gang leaves, Smellerbee breaks down in tears on the floor and Longshot nocks an arrow at the door. It’s Wild Bunch time. The Gang arrives at Appa’s cell to find him gone. They run for the exit to see if they can catch up, but as they burst out of a tunnel into the daylight, behind them the Dai Li are popping out like gremlins off of a mogwai. Long Feng raises a wall before them with the Dai Li clinging, insect-like to the sides. Their pursuers do the same, boxing in the Gang. Suddenly Momo flies up to the sun and after a long moment, freakin’ Appa comes flying back down and takes out most of the Dai Li by himself. When Long Feng tries to pull some earthbending on the bison, Appa catches him by the leg and throws him far out into the lake. As the Gang flies off on Appa, Zuko and Iroh are climbing out of the original tunnel with Iroh telling his nephew that he did the right thing. Zuko looks down at the Blue Spirit mask, but Iroh tells him to leave it behind. Zuko drops it into the water and we cut to the mask’s perspective, watching Zuko as it sinks into the deep water. After a short interval where the team is trying to decide their next move, “The Earth King” cuts to the most amazing battle sequence yet on the show when the Gang decides to go straight to the Forbidden City. The Earth King’s troops begin firing huge rocks at Appa, but Aang, grim-faced, destroys them without even looking. When they land, the fighting becomes even more intense as Aang, Toph, and Katara neutralize an entire regiment of earthbenders by themselves. The director of this episode is Ethan Spaulding, and his action scene here is both visually arresting and easy to follow. After figuring out that the Earth King is behind the fanciest door (in my favorite bit of physical comedy, Sokka tries to kick the door down and fails spectacularly), the Aang Gang arrives in his chamber and demands an audience. Long Feng and the Dai Li are already there. The Earth King points out that they have just attacked his palace and he has no reason to trust them. The Aang Gang drop their weapons to show good faith, but the Dai Li clap them in rock-glove chains immediately. Then Long Feng makes his fatal mistake. “Make sure the Avatar and his friends never see daylight again,” he instructs his men. Even The Earth King knows who the Avatar is, and he decides to hear Aang out. Long Feng tries to undermine everything that Aang tells the Earth King, but he uncharacteristically overplays his hand, first insisting that he has never seen a sky bison and then calling the Aang Gang members of an anarchist cell. I mean, The Earth King already knows that Aang is the Avatar, and the Avatar is an unlikely member of an anarchist cell. There are things I like about this episode, but it seems that the script could have taken Long Feng down without making him seem incompetent. Ultimately, the Earth King is willing to look into Aang’s story, which is a partial victory. The physical comedy of the Gang’s back-and-forth reactions are pretty fun, although still broad. Meanwhile, Zuko falls ill upon arriving home from his adventures at Lake Laogai. Iroh tends to him, telling him that his sickness is because of his critical decision to let Appa go. His actions are in conflict with his self-image, and he has to fight through this illness to metamorphosize into his own man. Zuko dreams of himself as Fire Lord, unscarred, with a red and blue dragon circling him. The blue dragon, with the voice of Azula, encourages him to sleep, just like Mother, while the red dragon, in the voice of Iroh, tells him to leave before it is too late. Another dream has him going to the sink for water and seeing his face, again unscarred, with Aang’s tattoos on his head. The Gang takes the King first to Lake Laogai, where they find that the Dai Li’s secret chambers are gone, and then to the outer wall, where they find the drill from “The Drill” still embedded. Long Feng arrives and tries to explain the drill away, but the Earth King has had enough. He orders the Dai Li to arrest Long Feng. The Gang explains their plan to the Earth King, and he introduces them to one of his top generals. The general tells the Gang that he found secret files in Long Feng’s office, which include a letter to Toph from her mother, who is in the city and wants to see her, the letter to Aang from Guru Pathik, and intelligence reports that mention where Katara and Sokka’s father is. The Gang decides to split up for the time being, with Sokka going to see his father, Toph going to visit her mother, and Aang off to the Eastern Air Temple to learn how to control the Avatar State. Katara will be staying in town to advise the Earth Kingdom generals. As Aang and Sokka make to leave, they hear news that the Kyoshi Warriors have arrived to see the King. Instead of sticking around to see Suki, Aang and Sokka take off immediately. As they fly past the outer wall, Sokka waxes rhapsodic about how everything is going to work out forever as if he has learned nothing about ironic reversals. Meanwhile, Long Feng is receiving word that the Dai Li remain loyal to him rather than to the Earth King, Toph is being captured by Xin Fu and her former earthbending teacher, and the Earth King is welcoming, in the guise of the Kyoshi Warriors, Azula and the Teen Girl Squad! Dun dun DUUUN! Sokka needs to learn to stop make sweeping generalizations because that always leads to this sort of thing. Next week: all Hell breaks loose. Sokka’s jawbone-sword-thing reappears mysteriously at the beginning of “The Earth King.” I guess it is sort of like a boomerang, too?